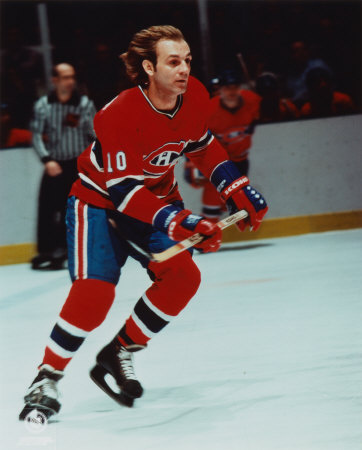 Guy Lafleur’s 17-year NHL career spanned from 1971 until 1991. The first 14 years were with the Habs, followed by a three-year retirement. He then skated one season with the New York Rangers and two with the Quebec Nordiques. He’s known as one of the greatest right wingers ever to play the game and one of the most exciting offensive players of all time. The Flower’s trophy case includes two Hart Trophies as the NHL’s most valuable player (1977 and 1978), three Lester B. Pearson Awards (now called the Ted Lindsay Award) for most outstanding player in the regular season (1976, 1977 and 1978) as voted by the players, and one Conn Smythe Trophy for most valuable player during the playoffs (1977). He has five Stanley Cups (1973, 1976, 1977, 1978 and 1979), six consecutive 50-goal, 100-point seasons, 560 goals and 793 assists for a total of 1,353 points. In his prime, the three-time Art Ross Trophy winner (1976, 1977 and 1978), was almost unstoppable. He was one of the most prolific scorers and one of the most exciting players of his generation or any other. From 1974 through 1980, a 462-game stretch, Lafleur scored an eye-popping 327 goals and 439 assists for 766 points (1.66 points per game). The only other players to play at a higher point-per-game pace for such an extended period of time were Wayne Gretzky and Mario Lemieux. Lafleur is the Montreal Canadiens’ all-time leading scorer (518 goals and 728 assists in 14 years) and holds the franchise record for most points in a season (136). At the time, Lafleur was the fastest player in the NHL to reach 1,000 points, needing only 720 games. Only five players since then have reached the 1,000-point mark faster. Wayne Gretzky (424 games), Mario Lemieux (513), Mike Bossy (656), Peter Stastny (682) and Jari Kurri (716). Of note, Gretzky was the only player to top the 2,000-point mark. His second 1,000 points were scored in just 433 games. These numbers, while very impressive, only tell part of the story of Guy Lafleur. “Individual records are nice to get, but before the season starts, you want to play to win the Stanley Cup,” he explained. In the 70s, no scorer was more brilliant. LaFleur was one part speedster, one part magician, and one part artist. Even on a dominant Canadiens team, he stood out. His trademark smooth skating style and scoring touch were a threat every time he took the ice and his long, streaming blond hair dared to keep up with him. He captured the imaginations of everyone. Guy “The Flower” (Le Démon Blond) Lafleur was born on Sept. 20, 1951, in Thurso, Quebec. Like many Canadians, he grew up idolizing Jean Beliveau and playing hockey on the rink behind his house that his father built every winter. He was so obsessed with hockey that he’d sleep in his equipment so he’d be ready to play in the morning. He’d skate endless hours at his local rink. “We played hockey at noon, and after school, we practiced until dark. All the Brothers (priests at École Ste. Famille) were mad about hockey,” said Lafleur. In 1962, Lafleur was 10 years old and scoring effortlessly against boys older than him. One time, he met his childhood hero while playing at Le Colisee, the arena also known as “The House that Beliveau Built” due to Beliveau’s success with the Quebec Citadelles and the Quebec Aces. Beliveau dropped by to meet the kids playing in a tournament. 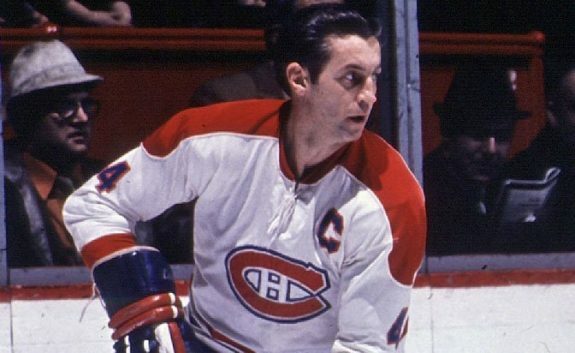 Jean Beliveau, Lafleur’s childhood idol. “I’d scored a hat trick in the peewee tournament game that day and Jean put a hat on my head for a picture, the way photographers in Montreal would put one on his after he’d scored three,” Lafleur said decades later recounting the scenario. More than half a century later, Lafleur still shakes his head with childish delight and disbelief at the memory of meeting his hero. In his teens, Lafleur tore up the Quebec Major Junior Hockey League. He signed with Quebec at only 15 years old and weighing just 135 pounds. That didn’t slow him down. In three seasons with the Quebec Jr. Aces, he scored 161 points in 100 games. He then played two seasons for the newly-named Quebec Remparts, totaling a mind-boggling 379 points in 118 games. In his final season, he scored a whopping 130 goals and 209 points (both QMJHL bests), leading them to the Memorial Cup as Canada’s top Major Junior team in 1971. 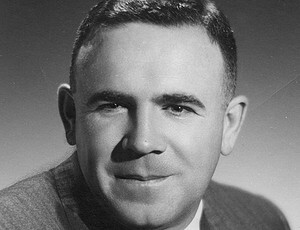 Canadiens general manager, Sam Pollock, had his eyes set on drafting either Lafleur or fellow French-Canadian Marcel Dionne in the 1971 NHL Amateur Draft. With the Oakland Seals at the bottom of the standings, Pollock struck a deal with Charlie Finley, the Seals owner, obtaining their first-round pick and Francois Lacombe for Montreal’s 1970 first-round pick and veteran Ernie Hicke. It all but guaranteed one of the first few picks for the Habs. As the season progressed, the Los Angeles Kings appeared to be even worse than the Seals, so Pollock hatched another plan. He sent center Ralph Backstrom to Los Angeles for two minor leaguers. The plan worked as Backstrom sparked the Kings out of the league basement securing Oakland’s last-place finish. When June 10, 1971, came around, Pollock chose Lafleur with the first-overall selection. 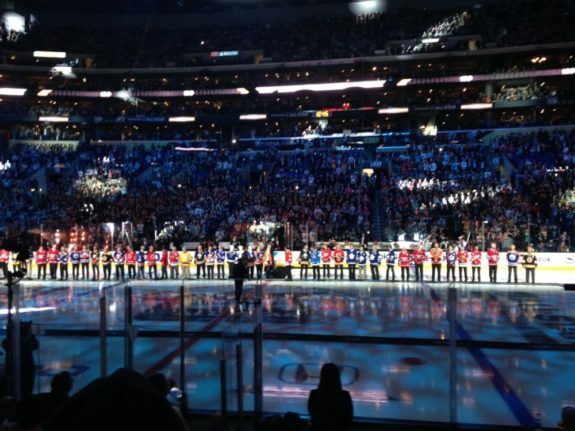 Dionne was chosen next, by the Detroit Red Wings. 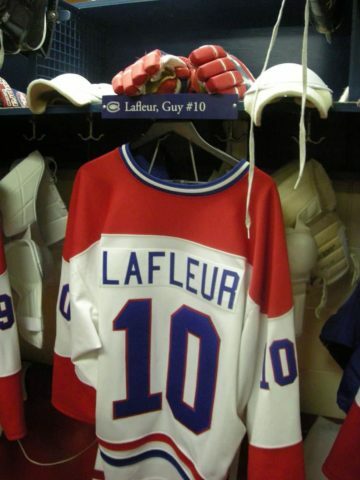 Choosing a number for Lafleur’s Habs jersey was filled with drama. He’d worn No. 4 while dominating in Junior. Many in the Habs front office wanted him to wear retired Beliveau’s No. 4, positioning himself as the next superstar of the Canadiens. As the story goes, Beliveau originally asked Lafleur to take his number then had second thoughts: “Don’t try to be a second Jean Beliveau. Be the first Guy Lafleur. Take a number and make it your own.” Habs Trainer Eddy Palchak tossed Lafleur a jersey and Lafleur skated out onto the Montreal Forum ice wearing No. 10. In his first three seasons in Montréal, Lafleur’s statistics were considered average (175 points in 215 regular season games) and he struggled to meet the ridiculously high standards expected of him. Unlike Dionne who led his team in scoring for the first three seasons, the much-hyped Lafleur didn’t immediately take the team or the league by storm. Part of that may have been due to the fact that he saw limited ice time as a rookie in 1971-72. The Habs were that deep with talented forwards. The 29 goals and 35 assists he scored in his rookie season were fifth best for Montreal. Ahead of him were Frank Mahovlich, Yvan Cournoyer, Jacques Lemaire and Peter Mahovlich. Fans wanted more from Lafleur and even began to question Pollock’s decision to draft him. Lafleur’s second and third seasons were similar to his first. He tallied 55 and 56 points, respectively. 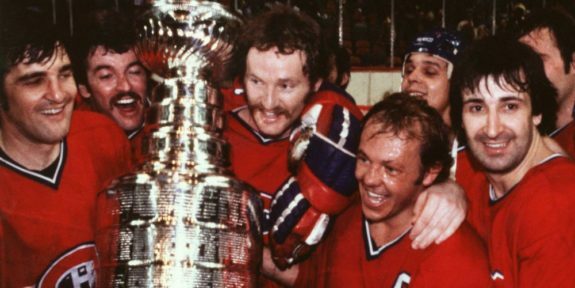 In 1972-73, the Habs defeated the Chicago Black Hawks to win the Stanley Cup. It wasn’t until 1974-75, that the French-Canadian winger left his critics behind and became a powerhouse of offense, pouring in 53 goals and 66 assists. It broke the team’s record for most goals, assists and points in one season. His electrifying rushes and view of the game drew comparisons to Maurice ‘The Rocket’ Richard and his idol, Beliveau. His thrilling speed often left his blond locks flying behind him while his unpredictable playmaking left defenders tangled up like a pretzel. When Lafleur netted goal number 50, he became the third Canadiens player (and eleventh NHL player) to score 50 goals in a season. Maurice Rocket Richard and Boom Boom Geoffrion both reached the plateau in 1945 and 1961, respectively. The Rocket called the Forum between periods to congratulate Lafleur and wish him continued success. It began a string of six consecutive 50-goal seasons. Over the next five seasons (1976-80), Lafleur scored at least 50 goals and 125 points each season. He still holds the Canadiens’ record for most points in a regular season (136), set in 1976–77, and is tied with Shutt for most goals in a regular season by a Canadiens player (60), set in 1977–78. The team is considered among the best Habs teams of all time, right up there with the 50s team that won five straight Stanley Cups. The Habs faced the Bruins in the 1978 Stanley Cup Final. In an effort to thwart Lafleur, Don Cherry, the Bruins’ pompous coach, ordered his players to keep their sticks up against him. They followed his directive and by the end of the series, Lafleur’s head was covered in bandages as a result of countless slashes. Despite the abuse, Lafleur tallied three goals and two assists to help lead his team. The Habs won the Cup in six games. In 1978, after winning their third consecutive Stanley Cup, the Habs took the trophy to Toe Blake’s tavern and Henri Richard’s brasserie to celebrate and mingle with fans. At that time, there was only one Cup and players were not allowed to have the Cup for a day like they are now. That night, Lafleur schemed a plan to steal the Cup from Claude Mouton, the man assigned to supervise it. The plan worked. Lafleur stole the Cup from Mouton’s car later that night and took it on a mini-tour of Montreal bars that night. The next day, he called his father and told him he was bringing it to his hometown, Thurso. A massive party ensued with family, friends and neighbors on his front lawn. An absolutely irate Mouton tracked down Lafleur and demanded that he return the Cup immediately. At first, Lafleur playfully denied he even had it then relented, agreeing to return it the next day. “They still talk about that day in Thurso,” said a proudly grinning Lafleur. Lafleur scored one of the most famous goals in Stanley Cup playoff history late in the third period of a Game 7 Semifinal against the Boston Bruins in 1979. Down a goal with only a minute and change left on the clock, Lafleur circled in his zone, skated up the ice, then flipped a pass ahead to Lemaire who entered the Bruins’ zone. Lemaire dropped a pass back to Lafleur who rifled a slap shot into the far corner past Bruins’ netminder Gilles Gilbert, knotting the game, 4-4. Lafleur was not known for taking long slapshots, so the element of surprise may have helped fool Gilbert. 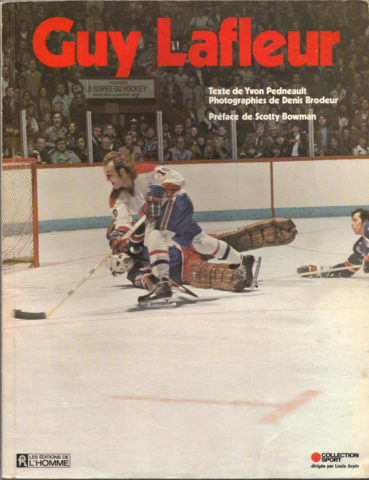 In overtime, Yvon Lambert won the game for the Habs. They went on to beat the Rangers in five games. The Canadiens’ dynasty ended when goalie Ken Dryden, forward Jacques Lemaire and others retired after the 1978-79 season. Though Lafleur was injured and only played 51 games in the 1980-81 season, he still put up an impressive 70 points (27G, 43A). It was the first time in seven years he failed to reach the 50-goal mark. On March 24, 1981, came a pivotal point in Lafleur’s life. Following a night of rousing with teammates, he nearly escaped a fatal car accident when he fell asleep at the wheel and crashed into a highway fence. A metal post went through his windshield and tore off part of his ear. Lafleur played on a line with Gilbert Perreault and Wayne Gretzky during the Canada Cup in 1981. The trio was tough to stop, let alone contain. Unfortunately, the experience was short-lived as Perreault broke his ankle in the fourth game of the tournament. In seven games, Gretzky tallied 12 points, Lafleur 11 points. In four games, Perreault had nine points. The Soviet Union team destroyed Team Canada in the final game by a score of 8-1. In 1984-85, a rocky relationship with former teammate-turned-head coach Jacques Lemaire drastically limited Lafleur’s ice time. Lemaire was a defensive-minded coach and had insisted Lafleur modify his game to a point where he was ineffective. His promises to Lafleur to increase his ice time and to re-join the first power play unit never materialized. Lafleur was always being featured magazines. When he retired, it was front page news. Shunned by Lemaire, a sad and frustrated Lafleur requested to be traded. Habs’ general manager Serge Savard denied the request fearing a public backlash had he traded one of the franchises’ most beloved players. “You don’t trade the columns of your temple,” GM Serge Savard told a Montreal newspaper. On Nov. 26, 1984, after struggling through 19 games on a team with a 13-4-2 record and with no real options, Lafleur decided to retire, shocking Habs fans. At his press conference, Lafleur attributed his decision to a lack of motivation to continue playing. Of course, it was not the underlying reason. He had plenty more still in him. Fans knew it, too. On Feb. 16, 1985, Lafleur had his jersey (10) raised to the rafters of the Forum, never to be worn again by a member of the Canadiens. 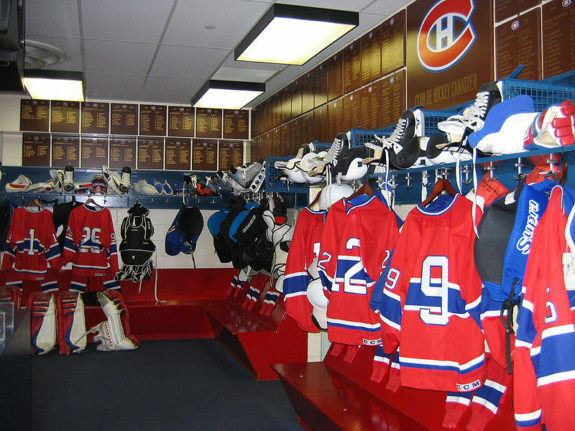 It was the sixth sweater number retired; the others were: Jacques Plante (No. 1), Doug Harvey (No. 2), Jean Beliveau (No. 4), Howie Morenz (No. 7), Maurice Richard (No. 9) and Henri Richard (No. 16). A few years later, after waiting out the obligatory three years, he was inducted into the Hockey Hall of Fame in 1988. Lafleur did not quit playing hockey altogether. He stayed in game shape, playing with the Canadiens alumni team for charity games across Canada. In one of those exhibition games against the Edmonton Oilers in 1988, he caught the attention of Mark Messier who convinced Rangers General Manager Phil Esposito to give him another shot. 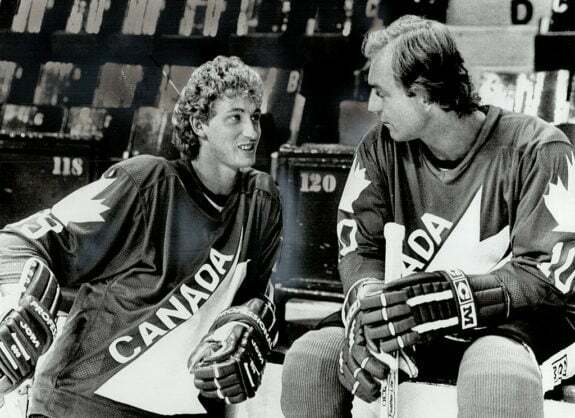 Lafleur had already reached out to the Los Angeles Kings for an invitation to their first training camp with newly acquired star, Wayne Gretzky. Rogie Vachon, the Kings’ general manager was intrigued by Lafleur’s proposal, but ultimately passed due to budgetary reasons. So when Esposito called and offered Lafleur the bait of playing with his good friends Chris Nilan and Marcel Dionne and for head coach Michel Bergeron, it was a done deal. Lafleur knew he was ready to lace up the skates again and return to the NHL. Lafleur, at age 37 came out of retirement, signed a one-year deal and put up 45 points (18G, 27A) in 67 games. He was one of the few remaining players in the league who did not wear a helmet. The Montreal faithful embraced his return to the Forum on Feb 4, 1989 and chanted his name throughout the game. Lafleur lit the lamp twice in a 7-5 loss and was named the game’s first star. The Rangers finished atop the Patrick Division, but Lafleur missed most of the postseason with a knee injury. The Los Angeles Kings reportedly then offered Lafleur a $1 million contract. For context, that would have been the third highest contract in 1989-90, behind Lemieux ($2 million) and Gretzky ($1.72 million). However, Lafleur wanted to finish his hockey career in Quebec where it had started his career and returned there, signing with the Nordiques as a free agent for much less. Interestingly, former Ranger coach Michel Bergeron was behind the bench for his final two seasons. These years were filled with injuries, though he put up a total of 24 goals in 98 games. Lafleur announced his final retirement at the conclusion of the 1990-91 campaign. Fittingly, his final game was a matchup between the Nordiques and the Canadiens. 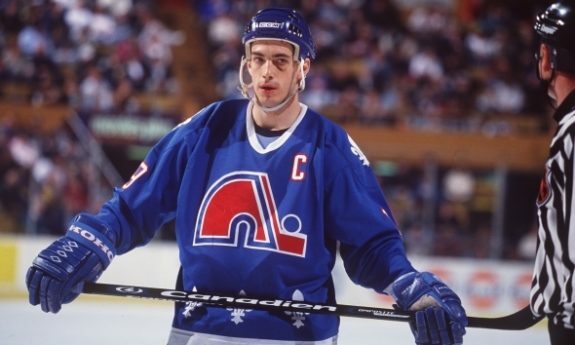 Joe Sakic began his career with the Quebec Nordiques in 1988-89, just as Lafleur finished out his career. 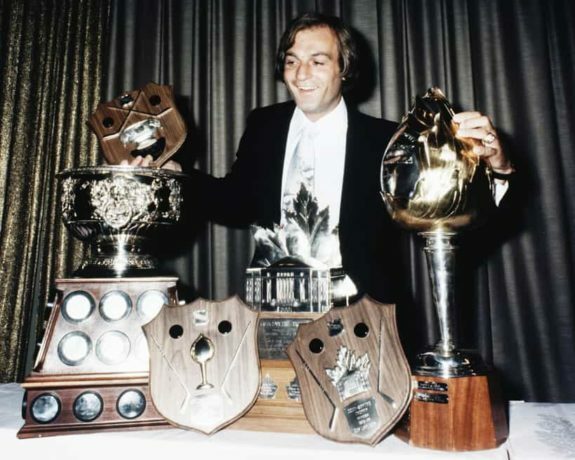 “Play every game as if it is your last one.” – Guy Lafleur’s advice in his farewell speech after retiring for good with Quebec. Though Lafleur agreed to an off-ice job with the Nordiques, he had not officially filed for retirement and was selected by the Minnesota North Stars as the last pick in the 1991 NHL Expansion Draft. The teams then struck a deal that allowed Lafleur to join the Nordiques. Lafleur was inducted into the Hockey Hall of Fame in 1988 and the Canadian Sports Hall of Fame in 1996. He’s one of only three players (others: Gordie Howe, Mario Lemieux) to have returned to the NHL after being inducted into the Hockey Hall of Fame. In 1980, he was made an Officer of the Order of Canada and in 2005 was made a Knight of the National Order of Quebec. It says a lot to be memorialized in a country that values hockey as its national past time and in a city that thinks of the sport as its pride and joy. There is a statue honoring Lafleur at the entrance to the Bell Centre in Montreal. It’s hard to imagine a more exciting right winger than Lafleur in the late 70s. His combination of speed, a quick release and accurate shot were mesmerizing. The thunderous ovations heard in the Forum were infectious. As commanding a presence as he had on the ice, Lafleur was every bit as magnetic off it. He loved to mingle with teams and fans in every city. “In all the years I’ve covered the Canadiens, I don’t think any one of the teams had more rapport with or respect from fans in the other cities. The respect and reaction of out-of-town fans was almost surprising, as if they felt that Guy belonged not only to the Canadiens but in large part to them as well,” said Montreal Gazette columnist Red Fisher. Lafleur’s contribution to the Canadiens and to the game of hockey is undeniable. “I don’t believe any other player has come down in the past 12 years who could lift fans out of their seats like Rocket Richard. 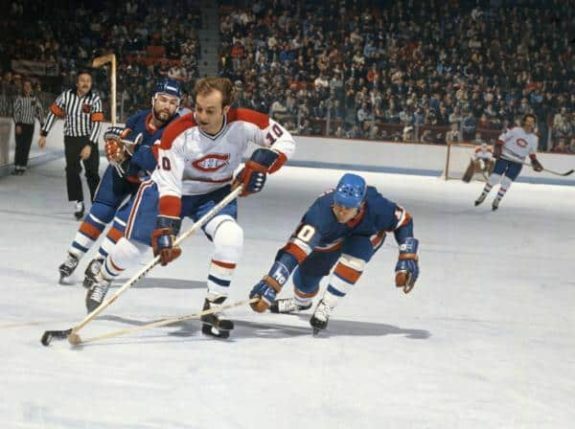 Guy Lafleur did that. He was a great one, and to us in the NHL, he symbolized how the game should be played. We are certainly going to miss him.” –Brian O’Neill, NHL Executive Vice-President at Lafleur’s retirement ceremony.